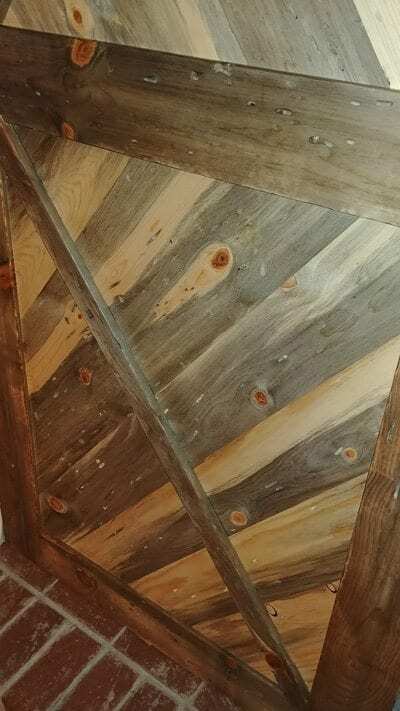 The Pioneer is one of our most rustic-feeling portals. 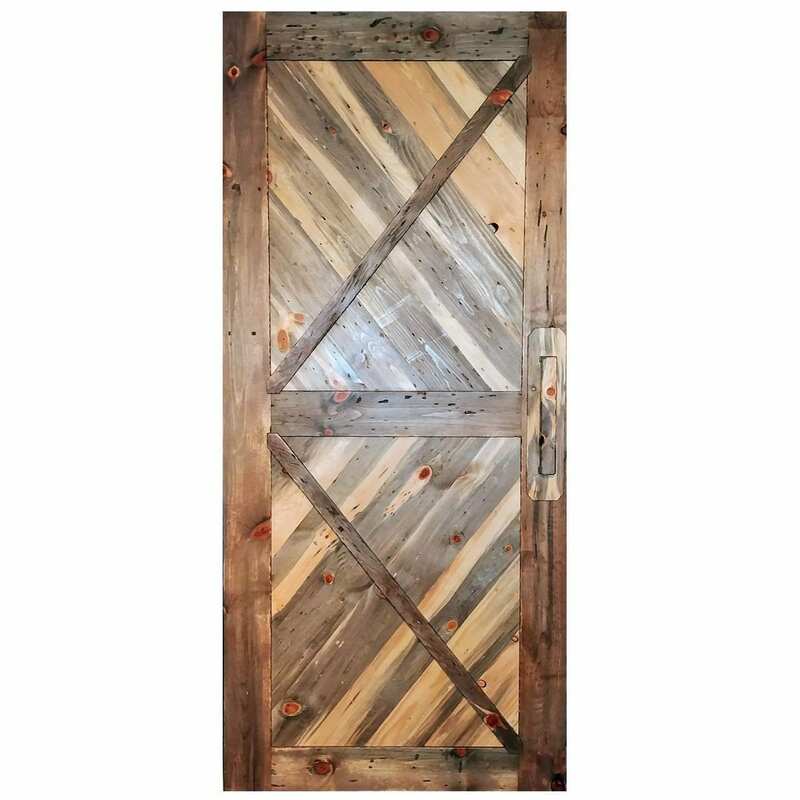 Made from blue-stain ponderosa pine from the Sierras, the wood used in these doors speaks of the history of our forests; fires and insects have both left their unique imprint on these pieces of salvaged lumber. 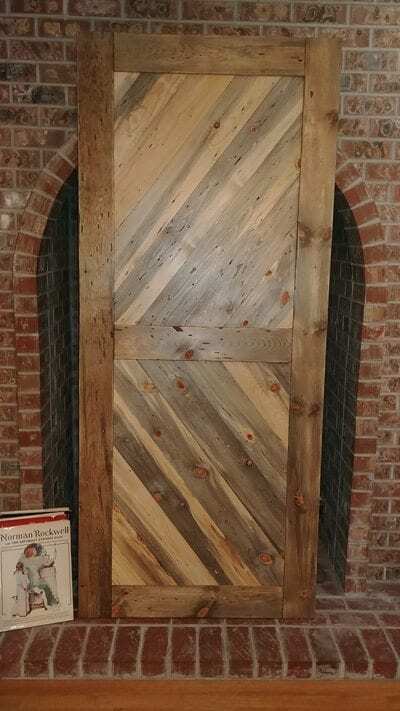 Hand-cut and pieced in a chevron pattern, the door has roughed up edges and a hand-built handle. 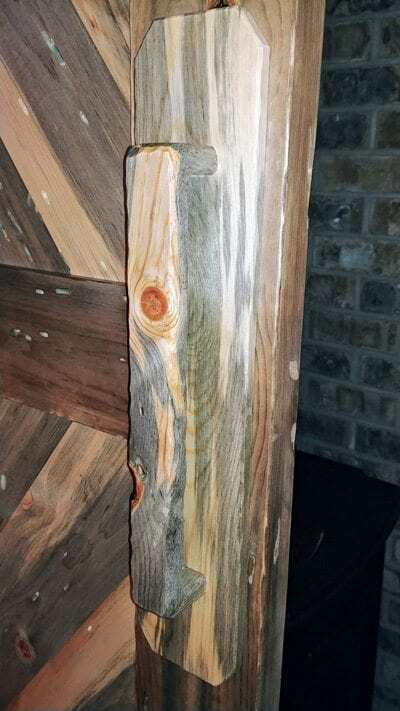 The same pine is used in the stiles and rails, and the front bracing bars. The back of this door is the same as the face except for the diagonal bracing bars. A rustic reminder of our region’s majestic forests, the Pioneer brings a sense of history and tradition to any interior space. Suitable for face or top mounting hardware.